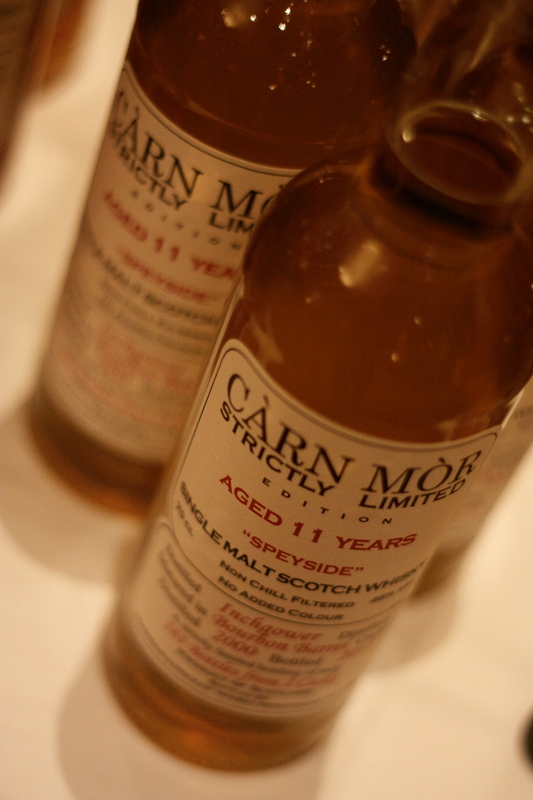 Back in October we met Peter from Carn Mor Whiskies at the Chester Whisky Festival. On the day we had a lovely chat with him and he generously gave us a few samples that we’ll review over the coming weeks on the blog. In the meantime we thought it would be nice to interview him and tell you all about the fabulous goings on at Carn Mor – so here it is, our first interview! Tell us a bit about yourself and how you started to work in the whisky industry? I am 22 years old and grew up in Auchterarder, Perthshire. My ambition all the way through school was to be a professional golf coach and spent every spare minute playing golf chasing the dream of making it my career. I attended Loretto School in Musselburgh for my final two years on a golf bursary and all I knew of the whisky industry was that it had given my Dad an incredible career and he had met many great people along the way. Once I left school I went to Elmwood college on a course in professional golf still with the ambition of being a professional golf coach. However, it became more and more apparent that I could not make the grade as a player in order to gain professional status. In the meantime I was thoroughly enjoying helping out part time with the outdoor events part of our family business to help fund my golf, I just loved meeting and selling to people and over time I discovered I was far better at it than golf and realised I potentially had an opportunity to learn from some of the most knowledgeable and well connected in the whisky business. So after months if not years of begging my father Kenny and his shareholders gave me the opportunity to go out and represented the Scottish Liqueur Centre and Carn Mor Whiskies in the UK. My first meeting was with Russell from Chester whisky and I will never forget walking through the Grosvenor centre with my box of samples in my suit with no idea how my meeting would go but Russell was a gentleman and we have worked together ever since. My passion for the whisky industry comes from a drive to continue the legacy that my father has made and to repay the opportunity given to me by my father and the Morrison family. I love the whisky industry because it has to be one of the most social around and it is so people orientated which suits me to the ground! Tell us a bit about the Carn Mor range and brand? The story of Carn Mor begins at the Scottish Liqueur Centre. My father has worked in the industry since the age of 17 and spent 11 years as sales and marketing director at Morrison Bowmore distillers. Over that time he grew the Bowmore brand from 24,000 cases to 140,000 cases. In late 2004, he decided to get involved in his own business and gathered a group of sharheolders together including the Morrison family who he had previously worked for to buy-in to the Scottish Liqueur Centre. All Carn Mor bottlings are chosen by my father and his experience is imperative to sourcing and choosing the best casks we can get. Carn Mor is the independent bottling department of the Scottish Liqueur Centre in Bankfoot just north of Perth. It was launched in 2008 in style with 2 releases of Macallan 1965. One of these was from a harveys Bristol cream sherry cask and one from a gonzalez byass tio pepe fino sherry cask. Both of the casks belonged to our chairman, Brian Morrison, and it certainly launched the Carn Mor name in style! For the first few years we mainly bottled single cask, cask strength bottling’s which were consumed mostly in our export markets. 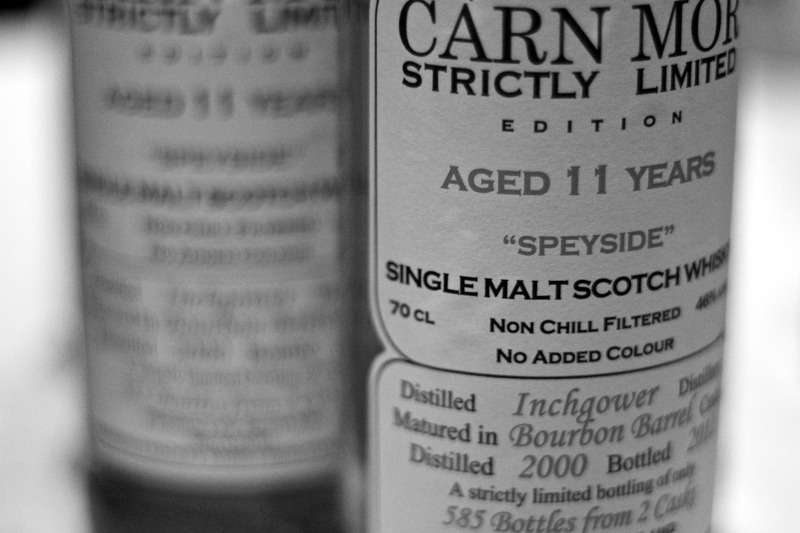 In May 2012 we introduced our first range at 46% called Carn Mor Strictly Limited to try to get a piece of the “affordable” whisky market but still keeping Carn Mor’s stellar reputation for bottling top class malts. The range has already featured some of the biggest distillery names in whisky but also some of the less well known and so far the reaction has been fantastic. How do you see the brand changing / evolving over the next ten years? Well I must say I would need a crystal ball to predict over the next ten years! In the near future it is going to be a real challenge for independent bottlers to gain stock but by no means impossible. I think it will be important to diversify our whisky range in order to protect ourselves from stock shortages, in other words trying not to be a one trick pony! I envisage the Carn Mor name growing well in the next few years through plenty of tasting activity and a growing interest in specialist malt whisky. Although we are in our infancy as an independent bottler we definitely have the knowledge and experience to become one of the major players in the independent bottling market. What was your first / last whisky? My first whisky was naturally a Bowmore because my father worked as the sales and marketing director for Morrison Bowmore distillers for many years. My most recent whisky was a Carn Mor Strictly Limited from Clynelish distillery at 16 years old from a bourbon hogshead last night! Beautiful hints of pineapple, vanilla and candle was. Don’t ask me for tasting notes of my first Bowmore, it was a while ago! What is your favourite whisky from the current Carn Mor range and why? What plans do Carn Mor have for next year? The plan for next year is to continue to with the Strictly Limited range and strive to improve our bottling’s wherever we possibly can. We also have 2 more bottling’s before Christmas, the rest is a secret for now! Keep an eye out for future posts on some cracking Carn Mor whiskies (especially a great Inchgower!). And if you see Peter at a festival soon be sure to mention you’ve read this post and enjoy a dram with him; his enthusiasm is wonderful, his knowledge excellent and the whisky is mightily fine – we can’t wait to see what they release in 2013!